Coopérative Laitière de la Sèvre uses raw goat milk, milk enzymes and slight pressures which allow the milk to slowly set. 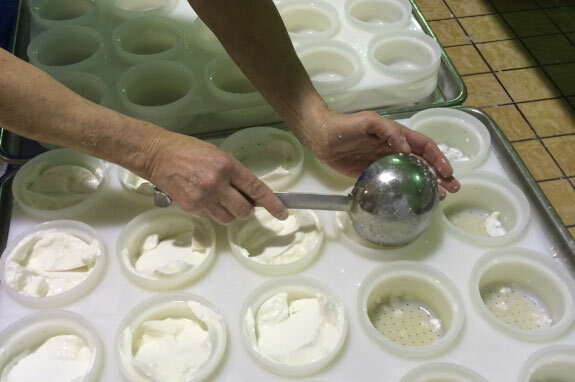 Curd is removed and then placed into cheese moulds which give the cheese its shape. Draining the cheese allows us to extract the small amount of milk contained within the curds; it is a very important step as it ensures the cheese to be properly conserved. 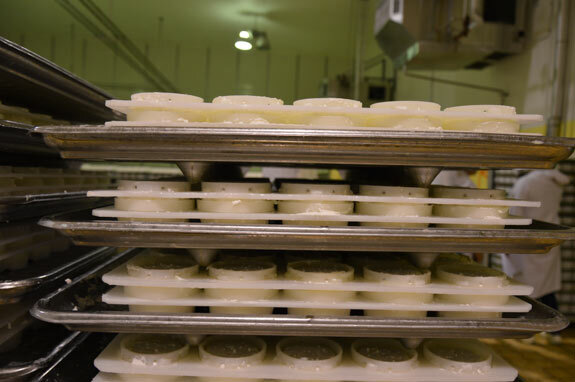 To do so, moulds are perforated in order to naturally allow whey to drain out of the cheese without any pressure. The salting process is essential to bring flavours out of the cheese. 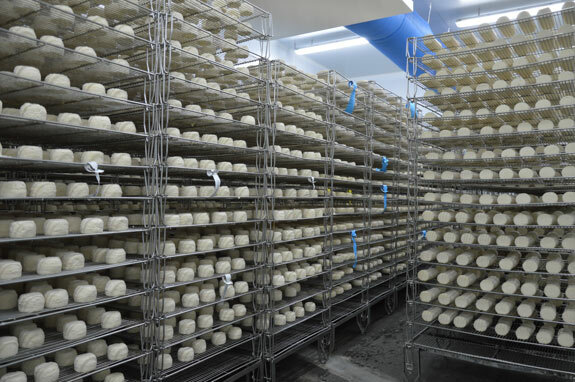 Our cheeses are matured for a long time in a drying room to allow all of the flavours to really come out. Our cheeses are regularly turned by the master cheesemaker. This stage allows the cheese to develop a the rind. 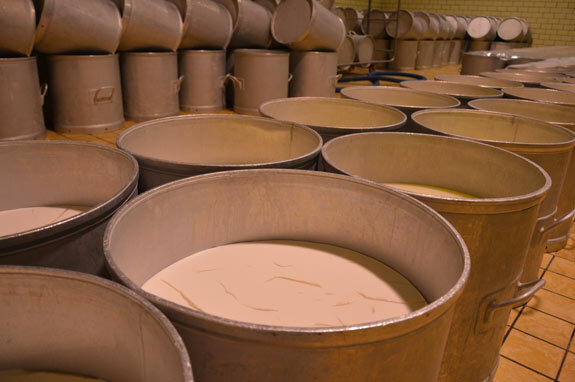 Once products are matured, they are then sent to the packaging room to be placed into paper shells. We are proud that this expertise has allowed us to regularly win awards since 1902. 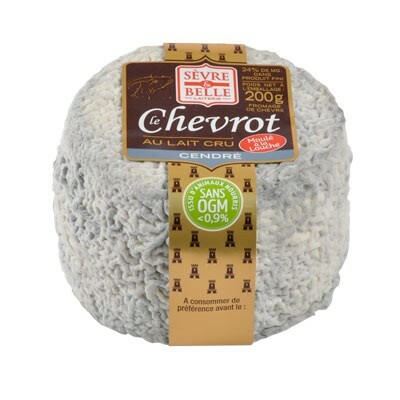 Our Chevrot cendré Sèvre & Belle received the Saveur d’Or at the 2017 Concours des saveurs régionales. This raw milk goat cheese possesses typical goat cheese taste and a firm texture. 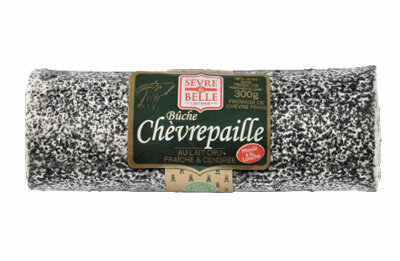 With its grey, brainy and bloomy rind, it will surely add a touch of freshness to any cheeseboard. Our Mini Chevrot Sèvre & Belle received the Saveur d’Or at the 2017 Concours des saveurs regionals. This raw milk goat cheese has a brainy and raised beige bloomy rind, will tickle your taste buds and satisfy your guests in no equal measure! Our Chabichou du Poitiou AOP Sèvre & Belle won the Saveur d’argent at the 2017 Concours des saveurs régionales. This raw milk goat cheese is first ladle-moulded and then matured in a drying room. Our Chèvrepaille Sèvre & Belle received the Saveur de bronze at the 2017 Concours des saveurs régionales. This raw milk goat cheese has a wavy grey crust and a firm texture. 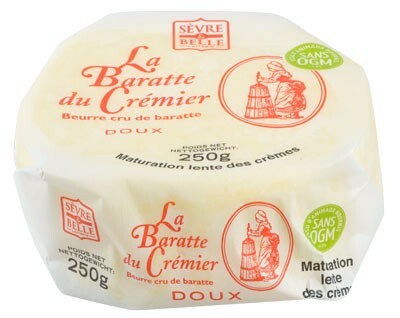 Our unsalted Baratte du Crèmier butter received the Saveur d’argent at the 2017 Concours des saveurs régionales. This churned butter’s light and firm texture means that it is spreadable straight out from the fridge. You can find all these products at your local dairy stockist or in our two stores in Echiré and Celles-sur-Belle. What is an Appellation d’Origine Protégée? Appellation d’Origine Protégée (AOP), previously known as Appellation d’Origine Contrôlée (AOC), was created in Europe in 1990. It refers to a product which has gained a certain notoriety, made in a defined geographical area and according to a traditional and strict know-how. Products are inherent to their region and cannot be produced in other areas. 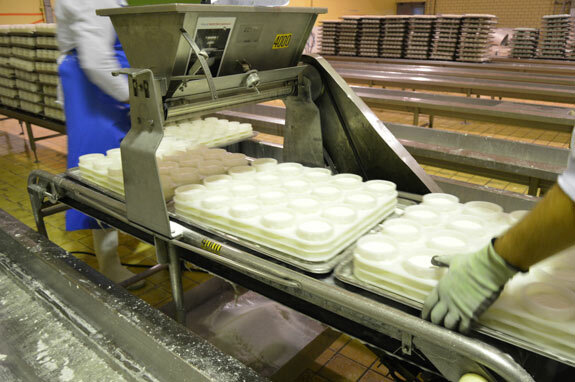 The production must take place in that specific region, according to detailed rules and regulations that have to be sufficiently comprehensive to guarantee the quality and taste of these AOP products for consumers. The Chabichou du Poitou AOP has enjoyed AOP status since 1996. Producers must adhere to the specific regulations for this cheese. The milk production and the maturing process must take place within the geographical area of the AOP, which broadly corresponds to the limestone areas of Haut-Poitou, extending across half of Deux-Sèvres and Vienne, as well as some towns in the north of Charente. 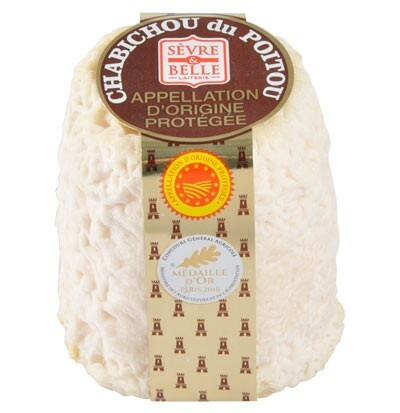 Our Chabichou du Poitou AOP Atelier de la Sèvre (150g) is a raw milk goat cheese. His shape is due to the piece of wood used to close wine barrels in years gone by. According to legend, its name dates back to the 8th Century when Sarrasins were defeated after the Battle of Poitiers. 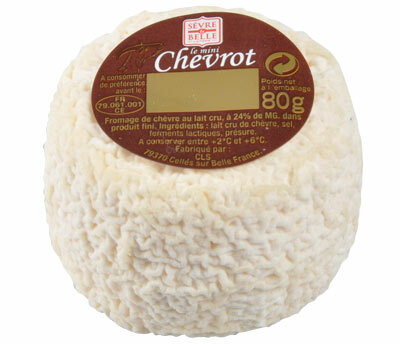 When some of them settled in the region with their goat flocks, they produced a cheese called Cheblis (goat in Arabic) and this would later become Chabichou. We are proud of our Chabichou du Poitou AOP Atelier de la Sèvre which often receives gold medals at competitions. AOP Charentes-Poitou (previously AOC) butter is made exclusively from buttercream from Charente, Charente-Maritime, Deux-Sèvres, Vienne and Vendée. Thanks to the cream’s slow biological maturing phase, unique to AOP Charentes-Poitou butter, it asserts its own personality. Our Sèvre & Belle AOP butter has the particularity of having a fine and malleable texture which makes it possible to work the puff pastry. Its natural qualities and unique taste make it the king of pastries.